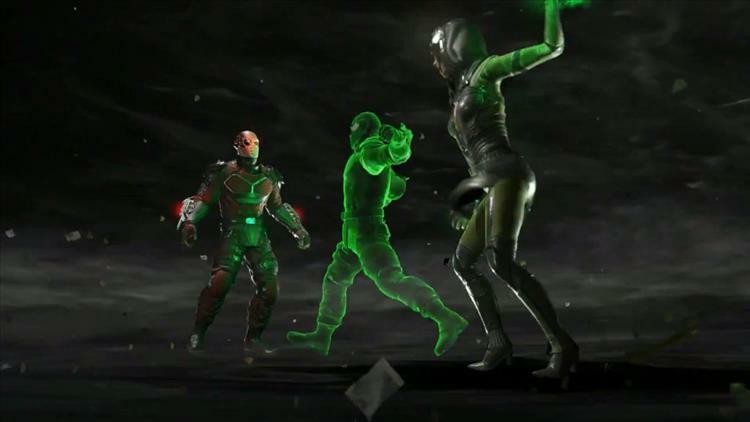 Injustice 2, the DC Entertainment brawler developed by NetherRealm Studios, keeps on sweetening the pot with awesome new characters. Today brings the release of Enchantress, the Suicide Squad member who has been banging around the DC Universe since the early 70s. Unlike a lot of DC villains, Enchantress doesn’t have a primary heroic nemesis, instead popping up randomly to do damage across the spectrum of heroes. Historically, she is not always a villain, sometimes doing good deeds as her allegiances shift on a dime. The Enchantress persona lives within June Moore, an artist who gained special abilities when she stumbled into a cave and was granted special abilities by a magical presence. The Enchantress and June personas often wrestle for control of their shared body, which results in some fairly erratic behavior. I wish that I had any sort of ability with fighting games, because I love the DC Universe (recent films notwithstanding), and this game looks incredible. The trailer for the release of Enchantress is extremely fun to watch, with the character unleashing a series of unbelievable special moves, culminating in a bit where she rips Deadshot’s soul out of his body and proceeds to beat him with it. Enchantress is available immediately for players who have purchased the Injustice 2 Ultimate Edition, Injustice 2 Ultimate Pack or Fighter Pack #3. She will be available for individual purchase beginning January 16th.